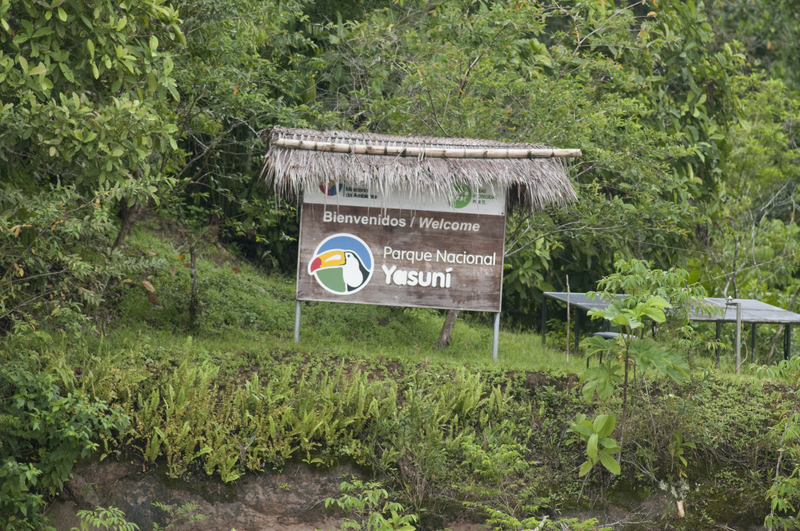 Yasuni National Park is arguably the most biologically diverse spot on Earth. The park is at the center of a small zone where amphibian, bird, mammal, and vascular plant diversity all reach their maximum levels within the Western Hemisphere. Moreover, the park breaks world records for local-scale (less than 100 km2) tree, amphibian, and bat species richness, and is one of the richest spots in the world for birds and mammals at local scales as well. Yasuni National Park (Spanish: Parque nacional Yasuní) is in Ecuador with an area of 9,820 km2 between the Napo and Curaray rivers in Napo and Pastaza provinces in Amazonian Ecuador. The national park lies within the Napo moist forests ecoregion and is primarily rain forest. The park was designated a UNESCO Biosphere Reserve in 1989.